A textured jumper that adds something different to the usual winter jumper. 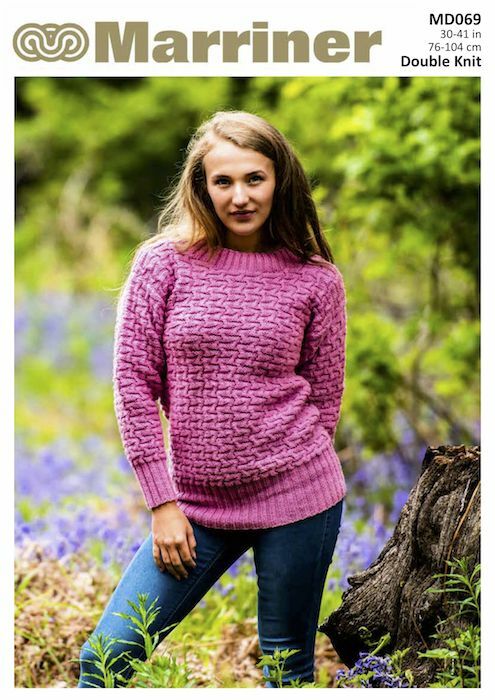 A longer length, this Double Knit jumper is perfect to snuggle up in. Hooks required 1 pair size 3¼mm (UK10- USA3), 1 pair size 33⁄4mm (UK9- USA5) and 1 pair size 4mm (UK8- USA6) knitting needles. Cable needle. Stitch holders.